“Millard Fillmore: Biography of a President” is Robert Rayback’s 1959 biography of the thirteenth U.S. president. At the time of the book’s publication Rayback was a professor of history at Syracuse University. Time and history have not conspired to generate an abundance of biographies of Millard Fillmore. In fact, for more than sixty years following his departure from the White House this long-neglected and relatively obscure president was viewed primarily through the pronouncements of his political rivals. Not until 1915 was the first true Fillmore biography even published. Rayback’s contribution to Fillmore scholarship almost never happened either. This book was originally intended not as a full-fledged presidential biography but rather as an analysis of the rise and fall of the Whig political party. While conducting his research, Rayback found Fillmore surprisingly interesting and concluded that a thorough examination of his life might provide unique insight into the evolution of his political party. The result is a fairly comprehensive, and rather flattering, biography of Fillmore. Because of its original purpose as a Whig treatise, one of its strengths is the author’s weaving together of narratives involving the Whig party’s birth and death along with the evolution of Fillmore’s political career. Owing to Fillmore’s political birth in New York, much of the book’s first half centers on New York state politics. But where the discussion of New York machine politics in Van Buren’s biographies was generally tedious and tiresome, Rayback’s description of the political battles between Fillmore and his political nemesis, Thurlow Weed, is more often fascinating. Rayback’s portrayals of Fillmore and Weed also perfectly demonstrates the author’s obvious affinity for his subject. Despite the fact that both gentlemen were engaged in the same high-stakes game of political chess, Fillmore is always the hero…and Weed is always the villain. Fillmore would be pleased at the author’s consistent and passionate defense of his reputation and legacy, but fortunately the favoritism is easy to identify and decrypt. And rather than seeming obtusely fawning, the author’s exoneration of Fillmore often proves provocative and thought-provoking. Like many biographies of the early and more secluded presidents, Rayback’s book focuses primarily on Fillmore’s politics and public service rather than his personal life. Though his two wives are mentioned (his first died shortly after he left the presidency) they are only perfunctorily described. Based on what is described of Fillmore’s private and family life, however, the more interesting focus may well be on his careers in law and politics. Overall, “Millard Fillmore: Biography of a President” is a laudable and impressive analysis of an otherwise remote and little-known president. The book felt about twenty-percent too long and the narrative was not always exciting (or straightforward). But the 1840s and 1850s were a fractious and complex time in American history, and Robert Rayback’s biography proves itself a praiseworthy, well-researched and rewarding (if not always interesting) exploration of Fillmore’s life. Anxious to see your thoughts on Finkelman’s book. How about the Robert J. Scarry bio on Fillmore? This one took me longer than I’d planned to get through, but I’m glad I recommitted myself to it a couple weeks ago and finished it! I went ahead and skipped right from Polk to Fillmore. I couldn’t talk myself into being interested in Taylor. As you mentioned, this book does paint a rather flattering picture of Fillmore. Even accounting for the author’s likely bias, it would appear from this account (which is admittedly the only account of Fillmore’s life and politics that I’ve read) that Fillmore was greatly popular amongst Americans of various political persuasions. How then did he end up nearly forgotten, even in his hometown of Buffalo (which is also my hometown)? Growing up, apart from recognizing his name on streets and hospitals, and perhaps a field trip to his grave or home in East Aurora, neither I nor my classmates learned anything about Fillmore. As Rayback reveals though, he was truly Buffalo’s leading citizen, personally hosting Abraham Lincoln, Prince Arthur of England, and Andrew Johnson at his private home, among others. He also was instrumental in the founding of several major Buffalo institutions that are still around today – namely SUNY Buffalo, The Buffalo Historical Society, and Buffalo General Hospital. 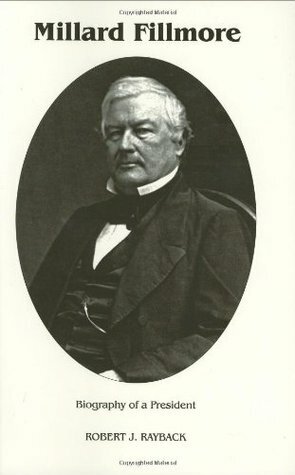 Likewise, Fillmore was relatively successful in his goals during his Presidency. Taking the oath of office at an extremely tumultuous time, he managed to preserve the Union in his two plus years in office primarily by preaching compromise with Southerners. Had Taylor survived to finish his term, who knows what the outcome of the Compromise of 1850 would have been? May the country have faced Civil War 10 years earlier without the right man to lead the Union through it? Fillmore’s handling of the sectional crisis in the early 1850s probably has played into his relatively unfavorable reputation a century and a half later. Though he morally opposed slavery, he didn’t feel the federal government had the Constitutional authority to end it. From Rayback, it would appear that his primary concern was always to hold the Union together, and a close secondary concern was always to hold the Whig party together. In his efforts to do this, he seemingly refused whenever possible to get put in the middle of heated political or ideological battles. In so doing, he may have appeared sheepish and unwilling to take bold stances or actions, as well as too apologetic to the South, which likely contributed to the view of him as a weak President. After his Presidency, his strong support of the Union (in the interest of its preservation, as opposed to any particular abolitionist sentiment) led to his being labeled a hypocrite by southern press, where he was previously quite popular as evidenced by his performance in the 1856 Presidential Election. Though he returned to prominence in Buffalo after the war, Republicans in that city turned against him. In the end, even if he was well-intentioned, he was on the wrong side of the slavery debate. Combined with the manner in which he conducted his administration and the events of the war, it may have been impossible for him to end up with a favorable reputation. My comment has turned into a novel, but all in all, I’m very happy I picked this book up. Through one of the most trying times in the nation’s history, Fillmore was unexpectedly thrust onto center stage, and did everything he could, often selflessly, to serve the Union. I think the circumstances surrounding his time in office, more than the man himself, have left him far less popular in death than he was in life. I’m curious to read the Finkelman bio now, as well as Team of Rivals to see Goodwin’s treatment of Seward in particular, as he was regularly made the villain in this book as Weed’s main crony. This may be the best Fillmore biography but, honestly, I thought it was terrible. My copy badly needed proofreading and editing. One chapter was even incorrectly numbered! Lots of text could have been deleted without any loss of meaning. … OK, rant is over. Looking at Millard, though, I’m struck by the biographer’s task portraying a (not fascinating) life, and am acutely aware how we judge through the lens of our own time. Contrast Fillmore with the fascinating John Quincy Adams. One could argue Fillmore was a more successful president, but we all like JQA more. Why? Adams was stubbornly steadfast in his opposition to slavery, even when unpopular and colleagues found him annoying. Today we admire him for that (I know I do). Fillmore, OTOH, wanted to preserve the union and avoid war, even if it meant continuing slavery. 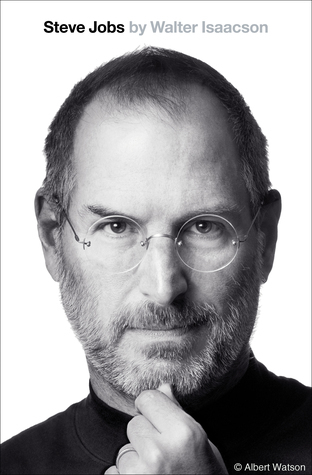 I think, in his day, he would have been considered pragmatic. It makes me wonder what I would have though in 1850. I hope I would have been like JQA, but who knows? If you knew everything you know today, that a future war would destroy 600,000 lives, and you were president in 1850, what would you have done? It’s a fascinating—and difficult—question to answer. Your comment leaves me thinking about how we are blessed with the ability to look back in time and ponder how/whether/what we would have done differently (or consider what a POTUS “back then” should have done differently). It often seems difficult to be thoughtfully self-observant in one’s own time (the present is probably no different) so I do wonder what we’ll be thinking about 2016-2020 in a decade or two. I enjoyed this quite a bit but you are right, this really needed proofreading. There is a shocking amount of typos in my edition (2017). Numerous references to the “Folk” administration. Commas instead of periods. Missing words. The TOC goes from chapter 22 to 25 then back to 24 (no 23). Very unprofessional. Was your edition professionally published? It sounds like it was scanned with OCR and then bound without editing. The 23 was likely misread as a 25 along with the Folk/Polk mix ups. My original 1959 edition has no such issues.